TV tears us apart, and TV can bring us together. You hear it all the time: There’s a lot of TV out there. And whether it’s still the golden age of television or the gilded age, the onslaught of new content continues. With more than 500 scripted series alone, viewers of all demographics had plenty to choose from in 2018. This, no matter how much it may sting those of us tasked with watching as much as possible, is a good thing — in part because no one can agree on anything, let alone TV. Culturally and politically, America is in the midst of a divisive, side-taking stand-off. Groups cluster together in their bubbles, only popping out when they think there’s a fact, message, or story that will convince outsiders to see things their way. Whether it’s the destruction of “Roseanne” or the buoying of “Succession,” TV in 2018 replicated society’s extreme discourse — it’s not about what the best shows are anymore, it’s about what the best shows mean, and how that makes them better. Is Roseanne an advocate for the lower class, or a conservative propaganda machine? Is the Roy family viciously lampooning the 1 percent or glorifying their excessively decadent lifestyle? No matter how you answer, asking is key. Seeing both sides of an argument is instrumental to making an informed decision, and the best television offers viewers a unique perspective into the lives of someone other than yourself. It can transport you outside your bubble, making you laugh when your brain tells you not to or cry when it’s hard to understand why. Empathy is derived and scorn is induced as you watch a story unfold, and what you’re left with — love or hate — can expand your worldview, even if it’s just for this one person, in this one show, this one time. That’s a start, and the 10 best TV shows of 2018 are all exemplary teleportation systems. Diverse, dynamic, and aptly divisive, each series — narrowed to scripted options only, for accessibility’s sake — can draw in viewers of any background, with any preference, from any persuasion. They may not be your favorite series of the year, but they’re unforgettable and impeccable in their own right. Why these lists are important, why they exist, is to serve as a time capsule as much as a rocket ship. These are the 10 best shows of 2018, but they’re also 10 shows that can send viewers to a new frontier. There’s a lot of TV out there, but this is a good place to start. This is now the fourth season that marks this show defying expectations, proving again that Vince Gilligan and Peter Gould keep getting better, year after year, at making TV. This season proved their smooth mastery with episodes that deliberately entered clues into the framework which proved to be the perfect sort of red herring, leading into a bone-chilling finale that was jaw-dropping for how it didn’t ruin pre-established relationships, didn’t explode any status quoes. 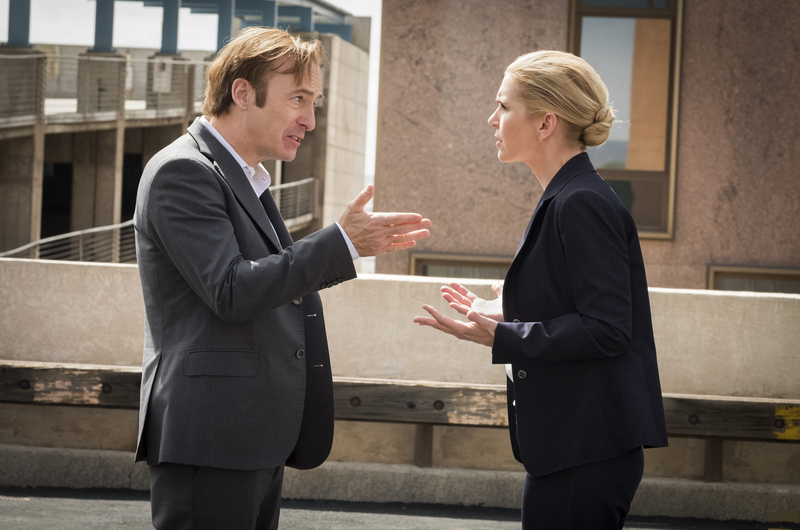 Instead, our good friend Jimmy McGill rejected a lifetime of various messages to seize a new name, and his journey to that point was so full of suprises and shocks that it left us breathless for 10 goddamn weeks. Jimmy might now be using the name “Saul Goodman.” But not is all good, my man. 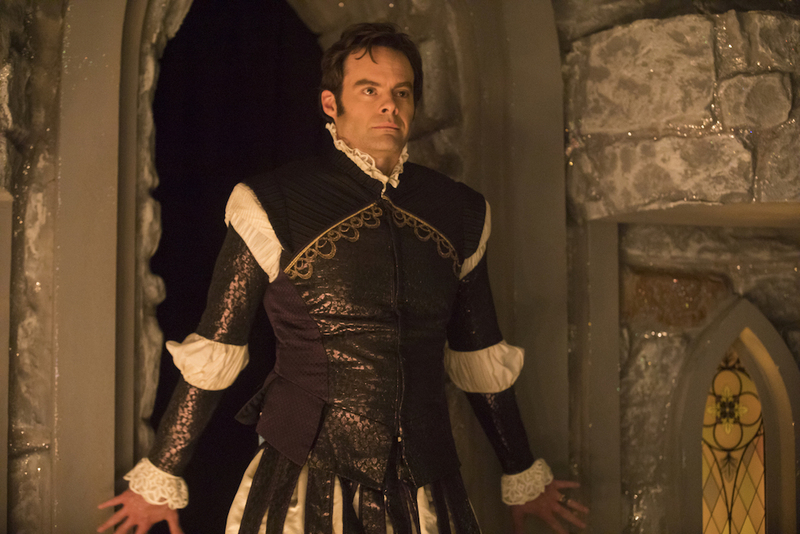 If only those who’ve truly immersed themselves in a way of life can find its starkest truths, then consider Bill Hader’s searingly funny and profoundly sad HBO comedy a confessional coup. As Barry Berkman, a prosaic assassin lured to the stage by its emotional honesty, the former “SNL” writer and star dissects both sides of his character’s calling with exacting assurance. Barry’s pure passion as a wide-eyed, unblemished beginner makes his journey affecting; you feel for the killer when he’s forced to do terrible things off-stage, and you engage with the actor as he processes those choices on it. Then, through his fame-seeking, traditional Hollywood-type cohorts, Hader guts the practice for how it can reward selfishness as well as its shallow commodification. “Barry” is hilarious in small, quiet moments as often as it’s shattering in those same fleeting seconds of self-discovery, but it’s a resounding success for how true it feels for everyone watching. Like a never-ending string of sausages, “Killing Eve” is stuffed to the point of bursting with exciting, continuous, and consistently delectable elements. One link might be the indefinable connection between MI-5 officer Eve (Sandra Oh) and the mysterious assassin Villanelle (Jodie Comer). Another could be the latter’s sense of style, or the former’s fluctuating sense of duty. Still, others are filled with creator Phoebe Waller-Bridge’s crackling dialogue, the haunting shot of a hunter spotting her prey, and a feminist’s take on the carefully crafted role reversals present throughout Season 1. But when strung together, all these links are first and foremost damn tasty — “Killing Eve” is an addictive series to consume, no matter if you sift through the many ingredients that make it great or barely pierce the skin of its delicious thrills. 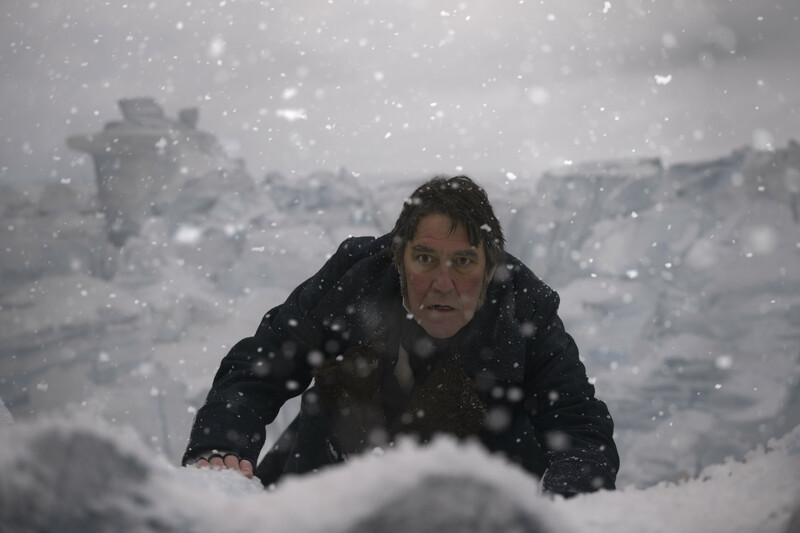 Even if it’s easier to find sympathy for certain characters along this doomed Arctic journey, it’s one of the crowning achievements of AMC’s “The Terror” that all players in this rich 10-episode saga are drawn with the kind of clarity that adds purpose to every fateful decision along the way. Drawing from both Dan Simmons’ novel and the historical details of the doomed expedition that inspired it, Soo Hugh and David Kajganich help bring out a story that dwells in a frightening, ambiguous middle area between reality and nightmare. From the attention paid to crafting a frozen landscape to the meticulous depiction of 19th century exploration’s pitfalls, there’s not a wasted additional layer. With textured performances from Jared Harris, Tobias Menzies, Adam Nagaitis, Paul Ready, and Nive Nielsen, it’s an impeccable examination of both history and human nature. The “terror” of the show’s title is a constant, chilling presence — the brilliance of its execution is how many forms it manages to take all at once. HBO’s Southern psychological thriller based on Gillian Flynn’s novel oozes. From the unhurried Wind Gapian drawl to Chris Messina’s copious perspiration, this is a particularly pungent miniseries that slides into the psyche and never really leaves, even months later. Amy Adams and Patricia Clarkson are riveting as a mother and daughter who represent opposing sides of propriety and expectation, and their distressing toxicity is palpable with every word uttered between them. Jean-Marc Vallée, who directed last year’s “Big Little Lies” for HBO also, brings his eye for detail to creating this humid and claustrophobic setting. While the mystery keeps the viewers engaged — and the ending is an adrenaline-shot nightmare — it’s the interactions and the character studies that prove to be the real stars. “Sharp Objects” is a gorgeous gothic masterpiece. Justin Simien did it again. Not only did he adapt his stellar 2014 film into a bold, stylish, and thought-provoking first season, but in Season 2 he upped his game by deepening the mythology of the hallowed halls of Winchester University. This, in turn, grounded its characters and the show further into the realities of race, class, identity, and relationships that can resonate with everyone. This is a show unafraid to engage in discourse and yet makes each sentence more entertaining and invigorating than academic. Partly it’s because “Dear White People” is willing to troll its critics as well as its viewers. Partly it’s because of its killer cast, who can wring the emotion out of a moment with a blink or deliver zealous barbs with flick of the tongue. Netflix, purveyor of just about everything under the sun, should be credited for comprehending and standing behind such a fine series — with a third season on the way — and that’s reason to celebrate. In lesser hands, Amazon’s TV adaptation could have merely been a technical exercise. 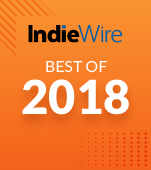 But under the supervision of a writing staff led by showrunners Micah Bloomberg and Eli Horowitz (who created the scripted podcast the series is based on), D.P. Tod Campbell, and director Sam Esmail, this tale of one woman’s life on either side of a fateful event becomes a gorgeous evocation to a time when paranoia could be harnessed and transformed into something beautiful. Julia Roberts is impeccable as Heidi Bergman, a caseworker-turned-waitress whose life is under examination, both by viewers and outside forces trying to keep her mysteries to themselves. 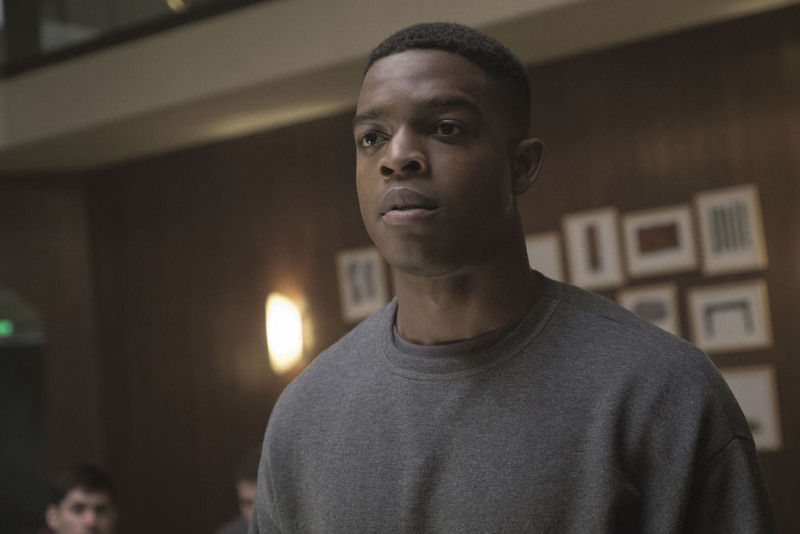 Shea Whigham’s delightfully idiosyncratic turn makes him one of the year’s most compelling audience surrogates and Stephan James’ sharp command in his quietest moments adds to his already impressive 2018. Rarely do stories this jarring unfold with such fluidity and precision. Plus, there’s a pelican. Who doesn’t love a pelican?